Did you know you can go summer skiing in Europe on the glaciers? 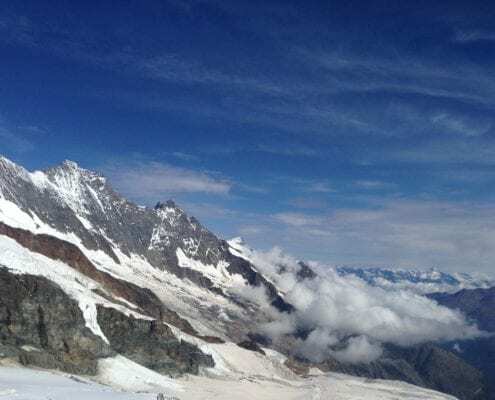 Along with cycling, mountain biking, hiking and all the other activities the Alps have to offer in the summer, you can get your ski fix in as well. Ski resorts open their glaciers for skiing only during the morning. After midday, the snow starts to get slushy, and the sun starts to get hot, so they close the lifts. 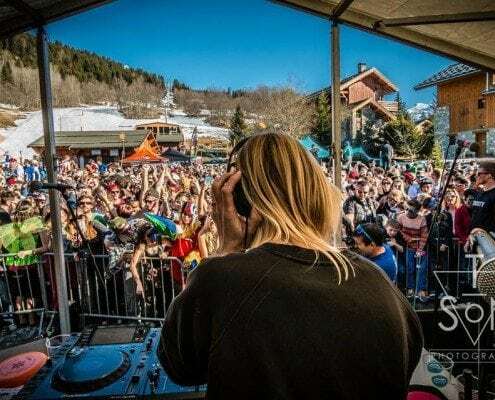 This leaves your afternoons free to enjoy everything else the resorts have to offer in the summer, which really is one of the biggest appeals of summer skiing in Europe. Here are some of the best resorts to head to for some summer skiing. 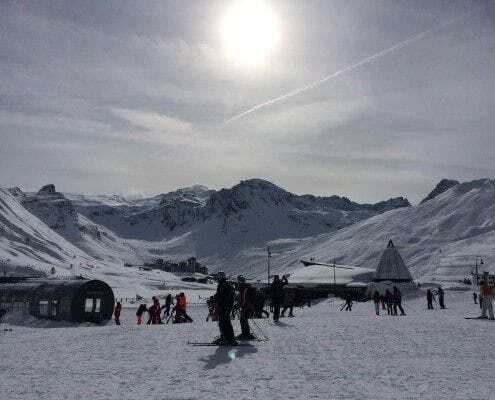 Equally famous for its lake in the summer as it is for skiing in the winter, Tignes is a fab option for summer skiing. Ski the Grand Motte’s 20km of pistes, all sitting above 3000m. There are 12 lifts total and have a snowpark as well if that’s what you fancy. And after you’ve put away your skis, head down to the lake to cool off. Tignes Le Lac is in the heart of the resort and truly is the center of all the action in the summer. If you want to get your adrenaline pumping give the giant slide a go. Or opt for the more laidback activities such as pedalos and kayaking. 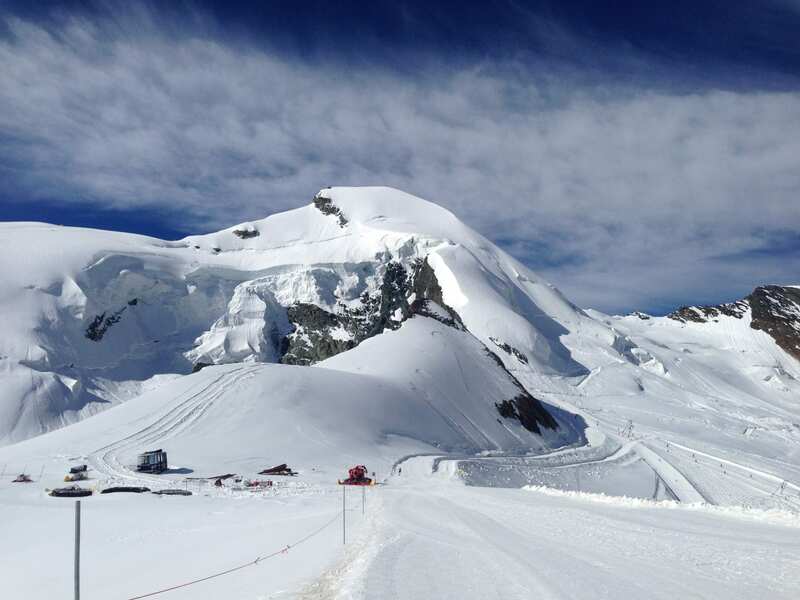 Tignes reopens their glacier again in early October, and you can ski straight through to early May. Famous in the summer for its great mountain biking trails, pair that with a morning ski and you’ll have a jam-packed adventure day in Les Deux Alpes. The glacier has 10 runs that sit between 2900m & 3600m. Be sure to lather on the suncream! In the afternoons head to the pool in resort, test out the summer luge, or give mountain biking a go. The resort has a lovely summer vibe with plenty of shops and restaurants open, but still quiet enough to be relaxing. You can camp at the bottom of the hill if you fancy, where there’s a pool with waterslides nearby – perfect for kids and teens. This picturesque town is a lovely summer getaway. The Fee Glacier has some of the more challenging pistes compared to the other resorts. You’re also likely to spot some professionals and Olympians here, keeping on top of their skills in the summer months. We recommend trying via feratta while you’re there, as there are some great routes. And if you enjoy camping, there are a few different campsites down the hill a bit nearby to a river. A really lovely mountain getaway. 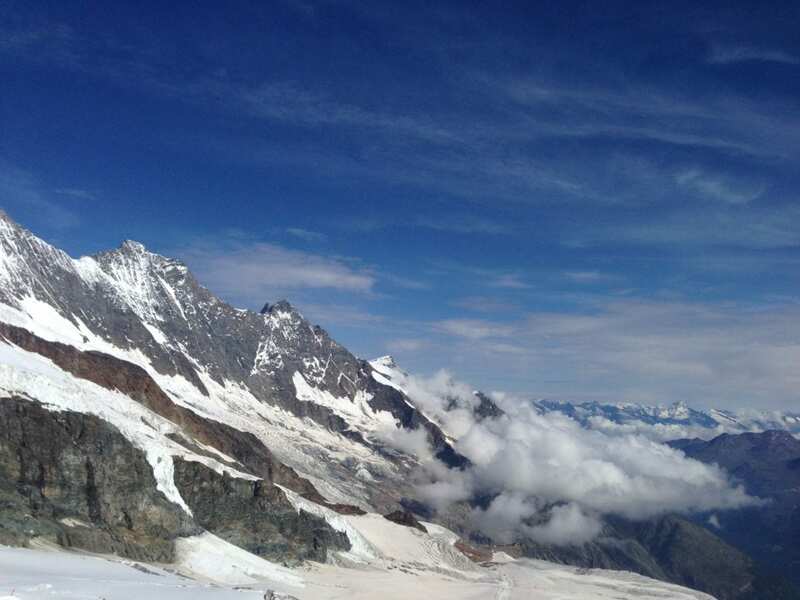 The Saas Fee summer season starts a bit later but stays open well into the autumn. Zermatt is just as stunning the summer as it is in the winter. Think flowers in window baskets lining the pedestrian streets, and a terrace lunch with a view of the Matterhorn. It doesn’t get more picturesque than Zermatt. Boasting the largest skiable glacier in Europe with 21km of pistes, Zermatt is a no-brainer for a bit of summer skiing. The Theodul Glacier has a freestyle park, and skiing right next to the Matterhorn isn’t too shabby either. Mountain biking, hiking, climbing, and mountaineering – you name it. Zermatt has summer activities covered. Open: Zermatt is actually open 365 days – so head there anytime you want! Go up first thing in the morning. It takes a while to get to the very top of the mountain and considering they’re only open in the morning, you don’t want to get there too late. Have you been summer skiing in Europe before? What’d you think of glacier skiing? Share in the comments below.